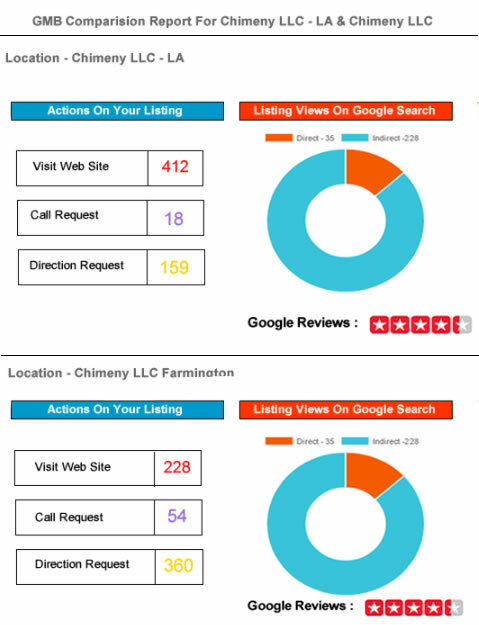 The most comprehensive Google My Business Listing comparison available on the market today, our expertly designed system lets you see how each location of your business is performing on Google. No two locations have the same customer response or engagement from search results. Increase business at each location separately by catering to the needs of the area, which then grows your business as whole! Click On Visit Website – How many visitors click on “Visit Website”. Click On Request Direction –How many visitors click on “Direction Request”. Click On Call – How many visitors click on “Call” button. Direct – Number of times your listing has shown when people are searching for your business by name or location. InDirect – Number of times your listing has shown when people are searching generic categories and see your listing (plumber in nyc, dentist near dallas etc). Listing Views On Google Search – Number of views your GMB listing got on Google Search this include direct & indirect traffic. Listing Views On Google Map – Number of views your GMB listing got on Google Map this include direct & indirect traffic. 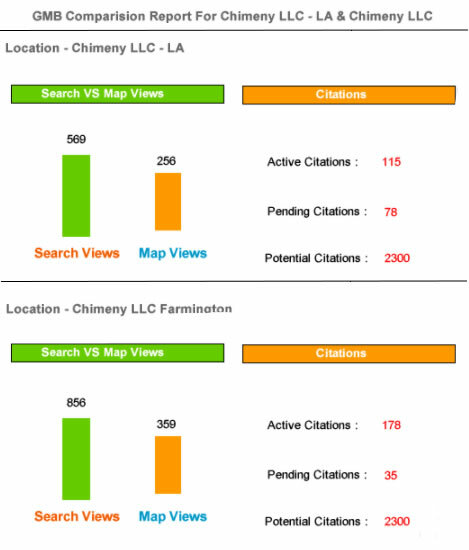 Active Citations – The number of citations which are indexed by search engines. Pending Citations – The number of citations which are build by us and waiting to get listing live.